Tide End Osteopathy and Pilates is a family run practice located in the heart of Teddington. We are based on Teddington High Street within the well-established Kirby Pharmacy. The practice is easily accessible by car and by rail from Twickenham, Richmond, Kingston and surrounding areas, being only a few momentswalk from Teddington over-ground train station and with ample parking available at both the front and rear of the practice. The practice was established in 2007 by registered osteopaths Steve Baker and Emma Bellairs and has recently been expanded to incorporate a fully equipped Pilates studio. Emma graduated from the British College of Osteopathic Medicine in 2007 and now practices both structural and cranial osteopathy. 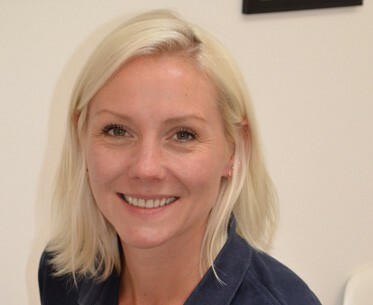 She has a strong background in sports and exercise rehabilitation having gained a BSc (Hons) in Sport and Health Science from the University of Southampton prior to becoming an Osteopath. Emma is also a qualified Pilates instructor with over 10 years experience in teaching both classes and one to one rehabilitative Pilates in a clinical setting. Continuing post graduate professional development has covered many areas of specialism including trigger point acupuncture, sports injury strapping, cranial and paediatric osteopathy and advanced osteopathic structural techniques. It was through Emma’s training and competing as an Ice Skater that she first became interested in osteopathy and although she no longer ice skates she is an accomplished snowboarder, keen runner and swimmer. Emma is registered with most insurance companies including AXA,Pruhealth, Aviva and Simply Health. Steve graduated from the British College of Osteopathic Medicine in 1998. He is an experienced structural and cranial osteopath who treats a wide range of conditions in people of all ages from new born babies, pregnant women, to olympic athletes and the elderly. 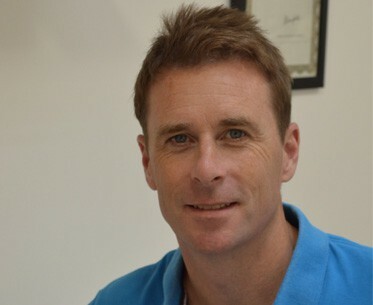 He has worked full time in several clinics since graduating including one year at the Osteopathic Centre for Children, previously in Harley Street, and has served as osteopath to the GB Olympic Canoe Team. Continuing post graduate professional development has covered many areas of specialism including trigger point acupuncture, cranial and paediatric osteopathy, and advanced osteopathic structural techniques. Steve competed as an international athlete for many years and is still a keen sportsman. Steve is registered with all major insurance companies including BUPA, AXA/PPP, Aviva, WPA, Simply Health and Cigna.